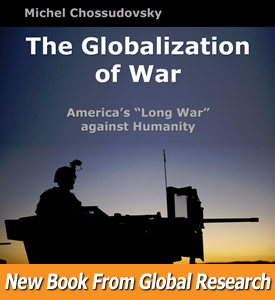 The Globalization of War is an extraordinarily important book. It tags the origin of a long series of wars and conflicts, from the end of World War II to the present, as being direct products of U.S. Foreign Policy. Nothing happens by accident. U.S. provocateurs, usually agents of the CIA, incite one conflict after another in what Michel Chossudovsky labels America’s “Long War” against Humanity. Michel Chossudovsky is one of the few individuals I know who has analyzed the anatomy of the New World Order and recognized the threat to the entire human species that it is. The Globalization of War is a must read for anyone who prefers peace and hope to perpetual war, death, dislocation and despair.